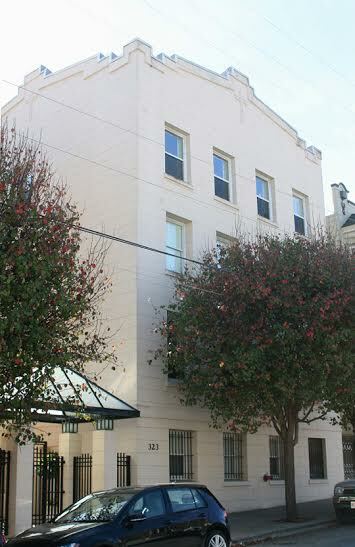 323 29th St. #C401, San Francisco CA 94131 – Choice light-filled top-floor corner condo in the popular St. Paul’s Commons. Red brick conversion of a unit in the smaller former convent building. Open floor plan is accentuated by lovely maple flooring. Master bedroom & living room offer views of City hills and the neo-Gothic spires of St. Paul’s around the corner. Convenient in-unit laundry. Parking in a gated garage. Close to J Church line. Easy access to 280 and the great resources of the Church Street Corridor and Noe Valley’s 24th Street.